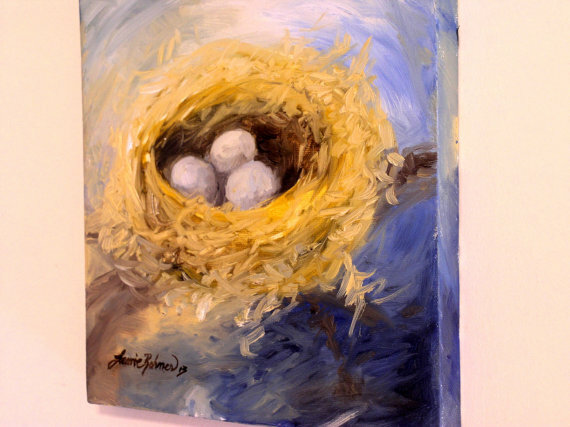 Nest original oil painting on canvas of woodland bird nest and three bird eggs inside is colorful wall nature art titled Woodland Nest by Laurie Rohner. 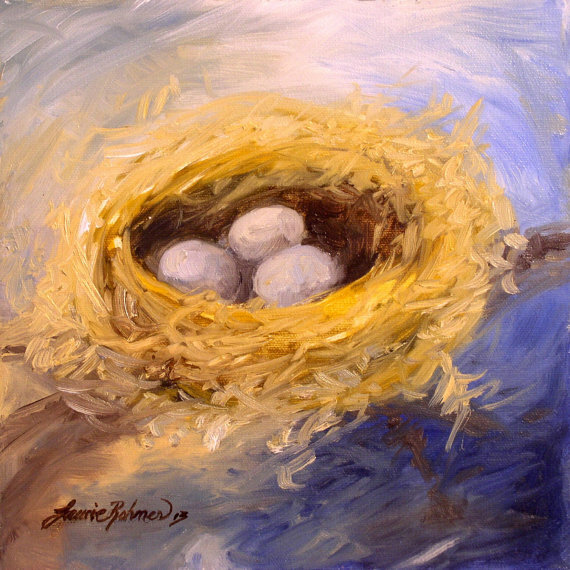 A nest sitting on a branch with the deep blues of the sky and clouds is a colorful contrast to the rich tones of the golden yellows of the nest. 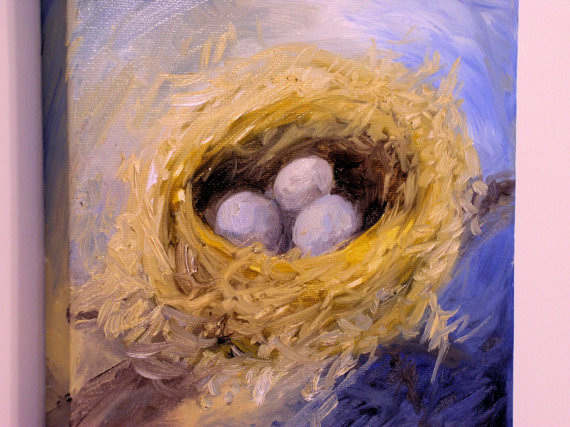 I love the energy in this painting, with the softness of the nest almost disappearing into the clouds with the intensity of the deep blue sky. One of my favorite things to paint is nature. Palette: golden yellow, paynes gray, cadmium blue, deep green oxide, gold, umber, soft blue. Signature on front, certificate on back with signature, date, title and info. 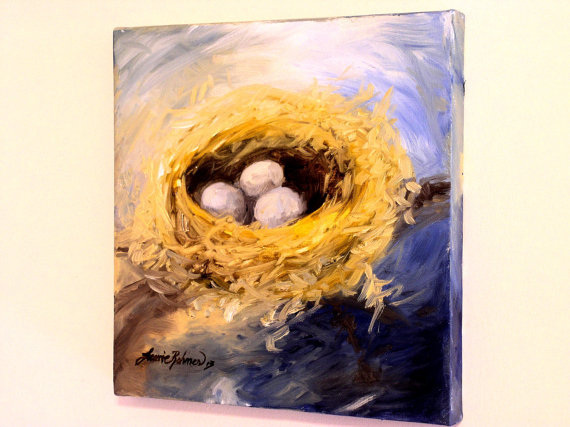 The painting is on wrapped canvas (3/4" deep) with staples on the back. This painting is painted with rich beautiful color and a great finish from high quality oil paints. I ship everywhere. Read my shipping policy for more information.